New photos obtained by The Dodo from a visitor to SeaWorld Orlando's Dolphin Cove show lesions on the animals' skin that appear to be the result of poxvirus, a disease that can be induced by the stress of captivity. 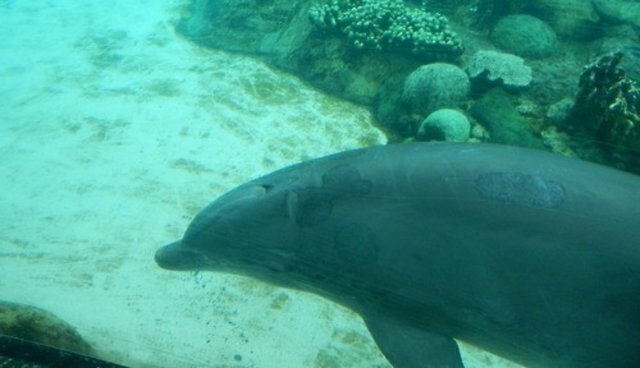 Naomi Rose, a marine mammal scientist with the Animal Welfare Institute, confirmed that the lesions appear to be evidence of poxvirus. 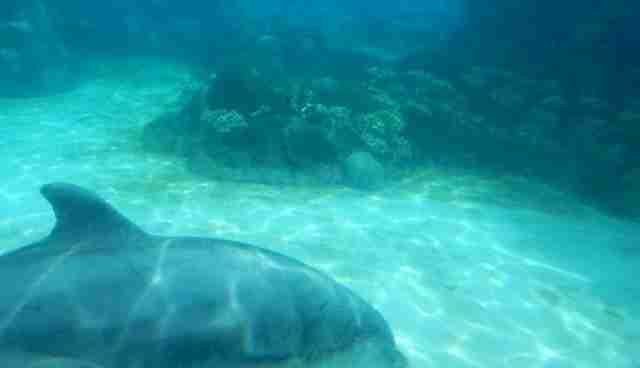 We also spoke to Heather Rally, a marine mammal veterinarian with the Oceanic Preservation Society, who agreed. 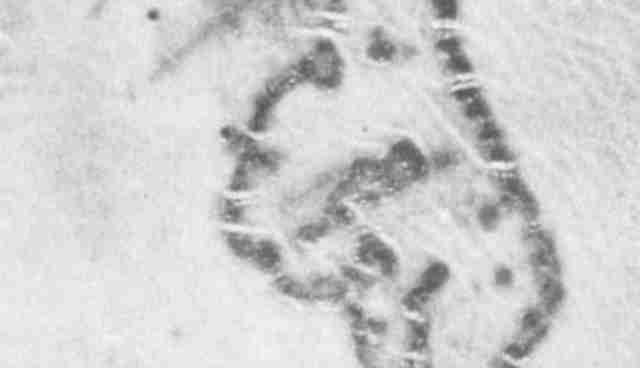 "This definitely looks like poxvirus," Rally said, noting that she has worked with wild dolphin populations living in contaminated environments that have a high prevalence of skin lesions. J R Geraci, B D Hicks, and D J St Aubin There is no evidence yet of a dolphin dying from the virus but, according to Rally, its presence is likely an indicator of environmental or psychological stress in animals, both captive and wild. 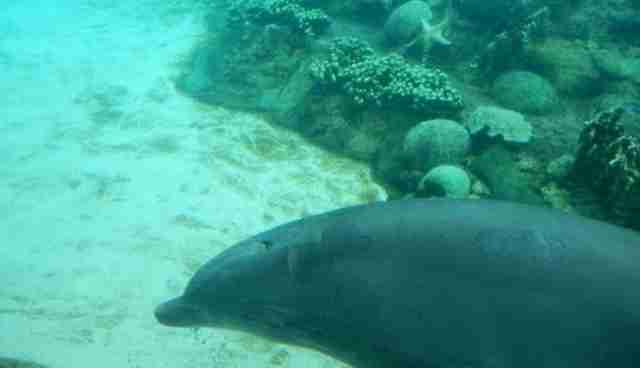 Wild dolphin cases are correlated with high incidences of environmental contaminants -- in fact, scientists consider the presence of poxvirus on dolphins as a type of indicator to the overall health of the ecosystem. According to Rally, while poxvirus likely won't kill the animal, its presence could be correlated with stress or contaminants in tank water. The study mentioned above also found that in captive dolphins the development of poxvirus was linked to general poor health. A 2009 study in the journal Diseases of Aquatic Organisms also found that a high prevalence of tattoo lesions in adults reflects a depressed immune system, meaning that the animals are more vulnerable to other diseases, too. The virus has not been seen to transmit to humans who come into contact with the dolphins. 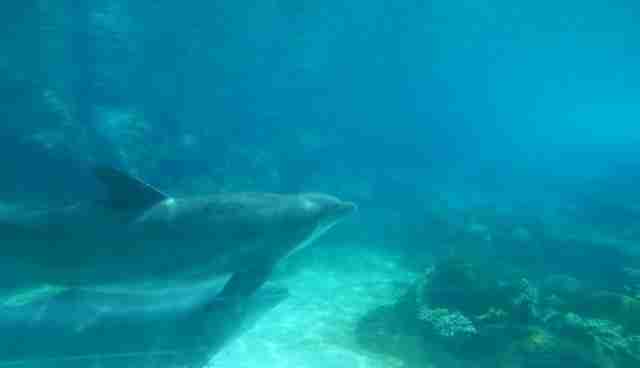 But it can transfer to other dolphins who come in contact with infected animals, meaning that if one develops the virus, the rest of the tank is at risk. It's worth noting that while the virus is seen in both captive and wild populations, marine parks like SeaWorld often tout the idea that their animals are better off than wild populations, because they are free of environmental stressors and predators. But if the stress of living in a tank is inducing the same health problems as an animal living in a contaminated environment, it seems that they're not much better off, after all. We've reached out to SeaWorld for comment.